Please understand information published in the Riverside Golf website will sometimes be changed or removed without notice. Regardless of our careful and close attention, Riverside Golf will not guarantee the accuracy, usefulness or appropriate renewal timing of published information. Riverside Golf will not be liable for any or all damages incurred by customers from the information (including any kind of data) acquired from the Riverside Golf website or by not browsing nor using the information (including any kind of data) available on the Riverside Golf website.  Copyright of the information, icon and other rights made available on the website are the property of and possessed by Riverside Golf. Riverside Golf website shall not be interpreted implicitly or expressly to grant or authorize any right under the intellectual property rights such as copyright, patent rights and trade mark rights. The Riverside Golf website offers free links. if you want to set up a link to the Riverside Golf website, please contact info@riverside.com in advance.